The Frontiers of Flight Museum hosts the the National AirÂ and Space Museum’s At the Controls in Dallas, 12/1. The Southern Museum of Civil War & Locomotive History celebrated its 10th anniversary as a Smithsonian Affiliate in Kennesaw, 12/3. 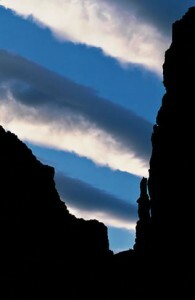 The Littleton Museum hosts SITES’ 125 Years of Lasting Light: Grand Canyon Photography in Littleton, 12/8. The American Museum of Science and Energy hosts SITES’ Earth From Space in Oak Ridge, 12/16. 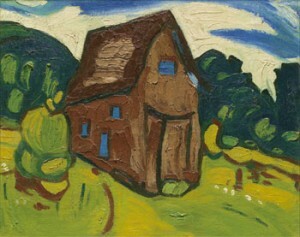 The Mennello Museum of Art will host SITESâ€™ William H. Johnson: An American Modern in Orlando, 1/6. The Smithsonian Early Enrichment Center will present a professional development workshop at the Ohr-Oâ€™Keefe Museum of Art in Biloxi, 1/12. 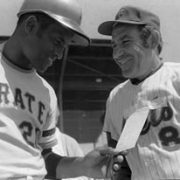 The Orange County Regional History Center will host SITESâ€™ Beyond Baseball: Roberto Clemente in Orlando, 1/21. Plimoth Plantation (Plymouth, MA), Birmingham Civil Rights Institute (Birmingham, AL), National Museum of American Jewish History (Philadelphia, PA), Arab American National Museum (Dearborn, MI), Japanese American National Museum (Los Angeles, CA), Senator John Heinz History Center (Pittsburgh, PA), Institute of Texan Cultures (San Antonio, TX), and the Western Reserve Historical Society (Cleveland, OH) will participate in a two day meeting to brainstorm ways in which the institutions could work together to foster civic engagement on immigration/migration issues, 1/25-1/26. The Rubin Museum of Art (New York, NY), the Museum of Nature and Science (Dallas, TX), Miami Science Center (Miami, FL), and the California Science Center (Los Angeles, CA) Â will participate in planning meeting for a National Symposium on Early Learning, 1/27-28. The Columbia Memorial Space Center will host SITESâ€™ Suited for Space in Downey, 1/28. Our Sun is only one of 100 billion stars in our galaxy. Without it, life on Earth would not be possible. 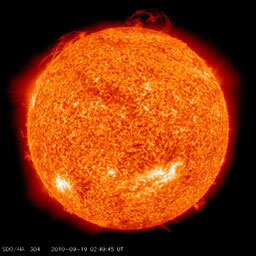 What we know about our Sun serves as the foundation for what we understand about distant stars. Credit: NASA/Lockheed Martin/SAO. 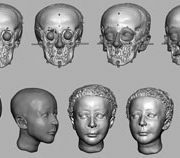 Special thanks to Ed Liskey, Senior Scheduling & Exhibitor Relations Coordinator, Smithsonian Institution Traveling Exhibition Service, for this guest post. 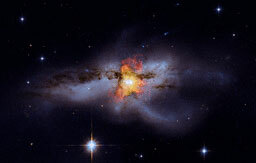 Two bright pinpoints of light in NGC 6240 show two supermassive black holes merging in the galaxyâ€™s center. The black holes are only 3,000 light years apart and have been spiraling toward each other for about 30 million years. Credit: NASA/CXC/MIT, NASA/STScI. Through these stunning photographs and engaging text, visitors will travel back in time and space to the beginnings of our universe.Â With specialized content targeting both the young and curious as well as more technically-savvy visitors, The Evolving Universe will have wide appeal.Â Act now to host this exciting exhibition of the latest cosmological knowledge and the amazing technologies scientists use to attain that knowledge.Â Learn more and see additional exhibition images on SITESâ€™ The Evolving Universe website. During the supergiant and supernova phases of star death, nuclear reactions fuse helium and carbon into heavier elements, such as silicon (seen in green in this image) and iron (red). 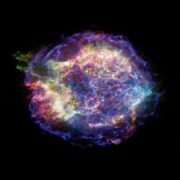 These elements are ejected forcibly in clouds that are light-years in diameter, seeding the next generation of star formation with the elements that make up planets like Earth. 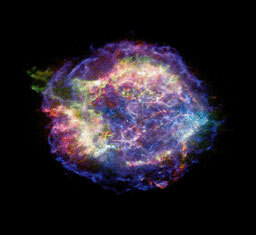 Credit: NASA/CXC/MIT/UMass-Amherst. Congratulations Affiliates on ending the year so strong! Â Â Â Â Â Â Â The Reginald F. Lewis Museum of Maryland African American History and Culture (Baltimore, Maryland) received $3,310 to fund a panel, â€œClemente in Context/Clemente en Contexto,â€ to provide museum visitors with some historical and cultural context about Afro-Latino populations in the Caribbean and in the United States. 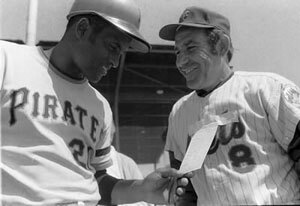 All programming relate to the themes of Beyond Baseball: The Life of Roberto Clemente and IndiVisible: African-Natives Lives in the Americas. The Center for Jewish History (New York, New York), announce the expansion of its international fellowship program to include senior scholars, early career scholars and emerging artists and writers through a new five-year, $750,000 grant from The Vivian G. Prins Foundation. The grant will support fellowships for those who seek permanent teaching and research positions in North America. Senator John Heinz History Center (Pittsburgh, Pennsylvania) received a $5 million gift from the estate of the late William S. Dietrich II to turn a vacant building into an artifacts storage facility and conservation center. The Center also received a $2 million grant from UPMC to support educational programs and operations at the museum, where the library and archives will be renamed for Thomas and Katherine Detre. Â Â Â Â Michigan State University Museum (East Lansing, Michigan) will receive a $40,000 grant to support the 2012 Great Lakes Folk Festival. In collaboration with the City of East Lansing, the university will produce a festival that showcases the traditional music, dance, foodways, and other cultural expressions of the nation’s Upper Midwest using an innovative approach, highlighting the cultural sustainability and adaptive reuse (recycling) inherent in traditional culture in conjunction with modern technology (a solar powered stage). Â Â Â Â Ohr-O’Keefe Museum of Art (Biloxi, Mississippi) will receive $34,000 to support the exhibition, George Edgar Ohr: Apostle of Individuality. Designed to be installed in the Knight Gallery, the exhibition will include works by Mississippi ceramic artist George Ohr. Â Â Â Â Whatcom Museum (Bellingham, Washington) will receive $34,000 to support the exhibition, Vanishing Ice: Alpine and Polar Landscapes in Art, 1775-2012. The exhibition will examine the artistic legacy of the planet’s frozen frontiers — glaciers, icebergs, and fields of ice– now jeopardized by climate change through the presentation of 75 works. Science Museum Oklahoma (Oklahoma City, Oklahoma) received a $1 million donation from Love’s Travel Stops to help kick off a capital campaign and $30 million renovation for the museum entrance and the addition of a permanent exhibit aimed at introducing young children to science. Â Â Â Â Center for Jewish History (New York, New York) received $229,600 to fund Illuminating Hidden Collections at the Center for Jewish History. Â Â Â Â San Diego Museum of Man (San Diego, California) received $115,200 to fund Capturing History: Cataloging the San Diego Museum of Man’s Photographic Collection. Photo courtesy Bill Wiegand, UI News Bureau. 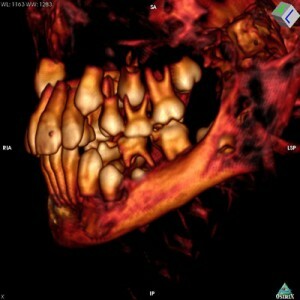 Photo courtesy Dr. David Hunt, using OsiriX software. Photo courtesy Joe Mullins, NCMEC. The Spurlock Museum at the University of Illinois at Urbana-Champaign has been in association with the Smithsonian Institution since 2005. To find a Smithsonian Affiliate in your neighborhood, click here. The baseball diamond has produced legendary athletes who have broken records and shattered barriers. 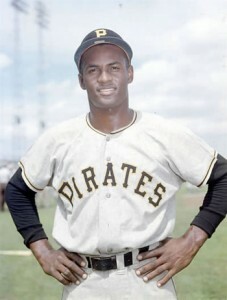 But for many, Roberto Clemente is the most inspiring of all. With a cannon arm and lightning speed, he was an outstanding ballplayer. But the Puerto Rico native was also a dedicated humanitarian. On Sundays throughout the month of November, visitors to the museum can participate in SUNDAYS @ 2 FILMS series. Featured films are: BÃ©isbol: The Latin Game, Third World California, From Mambo to Hip Hop: A South Bronx Tale, and Yo soy Boricua, pa’que tu lo sepas! (â€œI’m Puerto Rican, Just So You Know!â€). IndiVisible: African-Native American Lives in the Americas explores historical and contemporary stories of peoples and communities whose shared histories are woven into the fabric of American identity but whose presence has long been invisible to many in the United States. Painted Gourd: Red and Black Voices (Saturday, November 5, 3 p.m.) Penny Gamble Williams, a descendant from the Chappaquiddick Band of the Wampanoag Nation of Massachusetts, examines the intercultural relationships between Native American and African Americans. Genealogy Workshop: Researching Black Indian Ancestry East of the Mississippi (Saturday, November 19, 10:30 a.m.)Join author and blogger Angela Walton-Raji for a presentation on research methods of documenting African American and Native American family history. Native American Dance Presentation (Cultural Program) (Saturday, November 26, 2 p.m.) Native American dancers with the Baltimore American Indian Center perform social dances that explain their history. Today there are more than 2.5 million Filipino Americans in the U.S. Yet many, including Filipinos themselves, aren’t familiar with the details of their history in America: their experiences, rich traditions, and culture. Singgalot is their story. 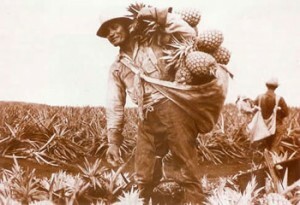 Film Screening: Remembering Our Manongs: Sonoma County’s Filipino History (Fri Dec 9, 2011 6:00pm – 8:00pm) A moving film documenting the Filipino presence in Sonoma County, produced with the help of the Filipino American National Historical Society (FANHS). Filipino-themed Family Day(Sat Dec 10, 2011 11:00am – 2:00pm) Activities will include dance and martial arts demonstrations, traditional Filipino children’s games, face painting, hands-on musical instruments, and more. Untitled Still Life, Flowers, ca. 1936-1938. Oil on burlap. Courtesy Morgan State University and SITES. Find a Smithsonian Affiliate in your neighborhood here. Find moreÂ Smithsonian traveling exhibitions and programs here. 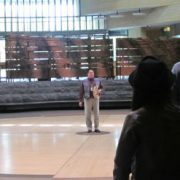 Dennis Zotigh at the National Museum of the American Indian. 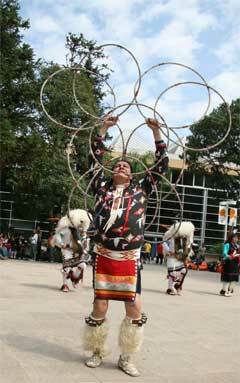 Zotigh performing a Hoop Dance in Sao Paolo, Brazil. This November you can find Zotigh at The Charlotte Museum of History (CMH), a Smithsonian Affiliate in Charlotte, North Carolina, where heâ€™ll be participating in the 3rd Annual American Indian Heritage Month Celebration. 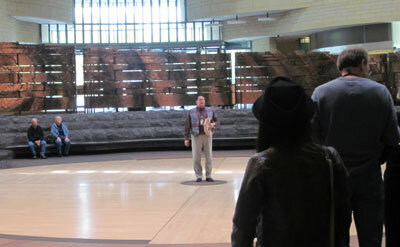 Never having been to Charlotte, Zotigh was invited by a former Smithsonian Affiliations Intern Partner, Brandie Macdonald (Choctaw/Chickasaw), whom he met while she interned in the Education Department at NMAI during the summer of 2011. 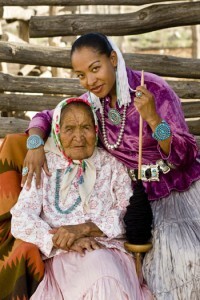 At the CMH, Macdonald is Education and Volunteer Coordinator and has already taken the practical experience she learned on the national level from the Smithsonian and translated it to successful programming on the state level for docents and CMHâ€™s educational programs.Â Zotigh’s appearance at the American Indian Heritage Month Celebration also coincides with the exhibition Native Words, Native Warriors, organized for travel by theÂ Smithsonian Institution Traveling Exhibition Service, and currently on view at CMH.